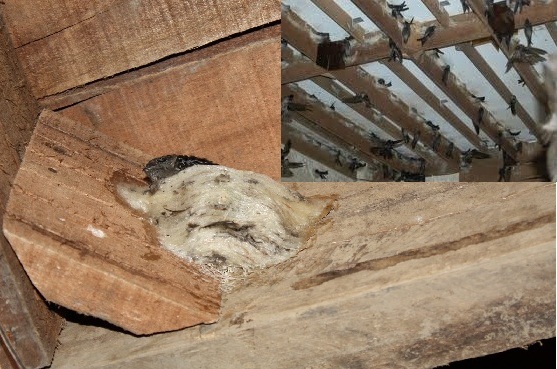 An American engineer has decided to venture the swiftlet bird nest industry which is is not only profitable but also environmentally-friendly. Michael who is originally from the USA and works in Singapore for a pharmaceutical project said at first he knew nothing of the industry until a friend introduced it to him. Recently, Michael who is the project manager of XYDEC said he attended a seminar on the bird nest here which was organised by Syarikat AMG. Through the seminar, he was able to understand more of the industry and on how to establish a home for swiftlets in Asia. He said bird nests can be a health food and also be used as cosmetic products such as facial cream for whitening. More over, this industry does not interfere with nature but on the other hand makes its surrounding more fertile. He who is really into the “green” stuff has chose Sandakan as his base to start his bird nest venture and he thanked AMG and its business associate in Sandakan namely Syarikat Gerak Borneo Sdn Bhd for all the guidance in this swiftlet bird nest industry. Bird nest industry is good to boost income.